Styling products for natural hair usually fall within six categories: curl defining cream, styling gel, mousse, pomade and butter, edge control, and heat protectant. If you do not have the patience to watch YouTube videos and learn how to properly use all of these products, then start here. First and foremost, you always want to use a moisturizer or leave-in conditioner as a primer for your styling products. Unless the packaging states otherwise, do not expect your styling products to provide sufficient levels of conditioning properties for your strands. All stylers are meant to hold the natural or manipulated style into place but do not expect them to do more than that. Now, on to the categories. Curl defining creams include your puddings, custards, soufflés, and all other opaque styling creams. 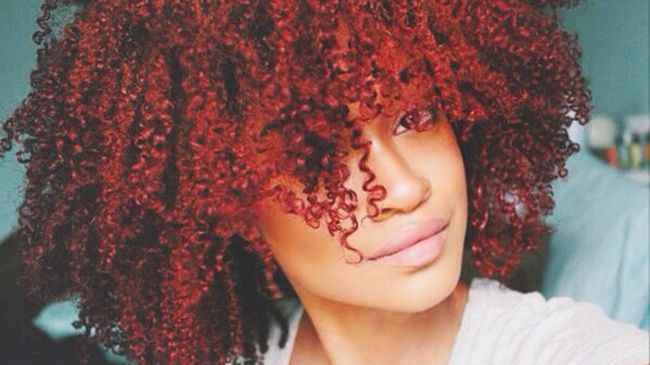 These styling products are great for setting your wash and go’s and two-strand twists. They are used to capture your natural curl definition not create one. More are being formulated with great conditioning properties but not enough to forgo your moisturizer, milk, or leave-in conditioner. Look on the packaging to find whether the hold level is light, medium, or strong. If there is no hold level, search for descriptions like wavy, loose curl, tight curl, or coily. I have noticed that the thicker the cream, the more my coils will elongate. You may notice a white cast on your hair immediately after applying these but they tend to dry clear. Styling gels tend to have a stronger hold than styling creams and are often used on Type 4 hair. Traditional gels are formulated with drying alcohols, so you want to look for products that state alcohol-free or are formulated with the fatty alcohol that help to nourish your strands. If you prefer the DIY route, consider using aloe vera gel, flaxseed gel, Irish moss root, marshmallow root, okra gel, and slippery elm to create your own gels at home. Mousse, foam lotion, setting lotion, and styling lotion are great options for wavy hair and roller sets. When creating wet-set styles with rollers or rods, mousse will provide a firm, but touchable hold that gel and styling creams will not. Foam lotion will render fluffy results while trying to set with gels and styling creams might cream hard, almost noodle-like results. Pomades and butters are great for sleeking styles, two-strand twists, and twist out, especially on Type 4 hair. They are chock-full with butters and oils to help seal in moisture while holding your style in place. When coifing your hair into a ponytail or puff, pomades are more ideal than gels, because gels for curly hair usually contain humectants, which encourage curl definition and not allow the length of your hair to lay smoothly. If your focus is the hairline, then consider using edge control. Edge control products are great for smoothing the short, fine hairs known as “baby hair” along the front of your hairline and at the nape. Restrict this product to your edges, as these products are too firm and too thick to spread down the length of your hair for a smooth ponytail or puffs. If you are smoothing with a boar bristle brush instead of your fingers, be gentle and cautious to not cause breakage. Heat protectants are a must when using heat styling tools like a blow-dryer, curling wand, flat iron, curling iron, and other forms of direct heat. These primers contain silicones that will lessen (not eliminate) the thermal damage that occurs to the cuticle and cortex when you apply heat. What are your favorite styling products?